After an inspirational weekend and just a few "God" things happening to me, I was able to let go a lot more and just ENJOY homeschool. I had this elaborate "modified workbox" system in place and guess what? The kids didn't take to it at all! Well, they did it because I made them the first two weeks, but by week three I felt like the life was zapped out of our homeschool because of my dumb schedule! So, we kept our large boxes with hanging files and keep our work in them now... still a great storage place for work in progress, but we no longer have to complete "everything in the box" and we are more free to go where the spirit leads us! Notice I added a musical composition and a song this week. Now we have a weekly Bible verse and a piece of music. In the coming weeks I'd also like to add a picture study to our list, too. These things are all so easy to accomplish. The Bible verse gets recited each morning. We listen to classical music and sing at lunch time, and I think the picture study will fit nicely in there as well! We did start Latin this week - just one lesson from Prima Latina, but both kids really enjoyed the format. My oldest does the workbook and runs the CD and my youngest listens in. The lesson was short, quick, and very achievable. It's complementing our history (we are right around the time of Jesus now) study very nicely. Hooray for Latin! After meeting Jeannie Fulbright last week at the Apologia luncheon, I was that much more excited to continue our science, Flying Creatures of The Fifth Day, this week. We spent one full morning with science... did the reading from the book and then went to the course website (I love this feature!) and explored the internet links and notebooked the findings. My daughter is getting to be more independent, which I guess is the goal as she approaches the middle grades. 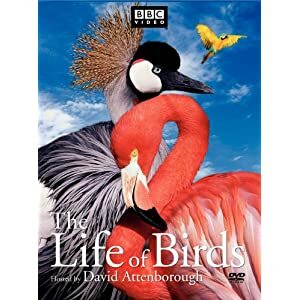 The kids also watched one episode of The Life of Birds via Netflix streaming. It was excellent! We had a fun morning mid-week and took three other homeschooling friends to go jumping. What a great time they had -- the boys especially NEEDED to get rid of this energy, and outside play is hard when it's so hot outside! The same day we went jumping we also had swimming clinics at the YMCA in the afternoon. By read-aloud time that evening, look what happened to GMan! When the weather cooled of "slightly", Miss B would go outside and time herself to see how long she could jump rope. We did a unit about jumping rope and jump rope rhymes last year that really stuck with her! See her smile in this picture? I saw it this week even during math! (which sometimes I have had tears over) I relaxed on math a bit and we did lessons together on our white board with lots of different colored Expo markers. She got much better at long division this week, and also learned to average numbers. I'm learning that we don't have to do every lesson in the book! Grammar this week consisted of Time 4 Learning lessons for Miss B. We are reviewing Time 4 Learning, and the grammar fit in very nicely. She completed several lessons about punctuation marks and quotation marks, which we had been working with in Writing With Ease. (Both children are doing Writing With Ease and this is a WINNER! I need to write a post just about this excellent writing curriculum!) My son continued in First Language Lessons. Here is he is using index cards to make sentences... the focus here was linking verbs! "Plant soil Plant seeds and walla! You have zucchini" Don't you love the spelling of voila?!?! So cute! Today (Friday) we went to lunch with my sweet father-in-law. He loves to take us to a southern cooking restaurant in the small town where we live. The chocolate chip pie was out of this world! I had a doctor's appointment, so he kept the kids after we all ate lunch. We are so thankful to have granddaddy living this close to us! I blogged earlier in the week about our new state study unit. This week was learning all about Wisconsin, which was very interesting. We also did some general 50 states notebooking and used resources from HS Launch. If you have never visited this site, you SHOULD! There are so many free resources for homeschoolers! I printed this alphabetical listing of the states for my children to copy... to put in the front of their notebooks. I also printed state notebooking pages so they can complete one about each state we study. In fact, this is my favorite resource this week! We only read one chapter in our history book this week, about Buddah. I'm finding that it's best not to rush through our Story of the World chapters. The kids really like to linger and find out a little more about the subject we have studied... so I'm giving them time to do this. A swim date with friends while mom had some time to herself! We are almost finished reading The Bronze Bow. In the car listening this week was Roberto and Me (Baseball Card Adventures). Bedtime reading by dad was Saving Shiloh. If you've read through this LOOONG post to the end, congratulations! These weekly wrap-up posts are mainly for my notebook. I print them each week so we have a record of what we have accomplished. Hopefully you found some things you enjoy and can use, too. AND, if you have any resources to share with me that we can use I want to know! Leave me a comment because, to be quite honest, I find my best ideas come from blogging friends! Linking up to The Weekly Wrap Up!